Before removing your old timer check the WiFi signal strength of your timer’s location using your smart phone. Take a photo of the existing wiring details. Insert batteries in the timer and download the Rain Bird App. Verify the WiFi Module is alternating blinking red and green. If it is not, press the button on the WiFi module for 1 second. 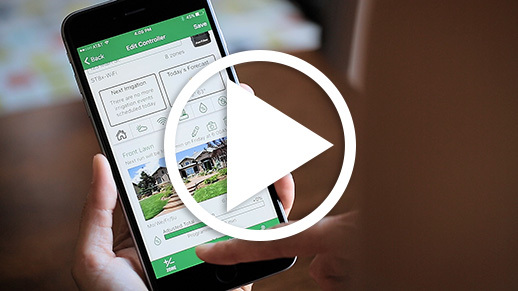 Launch the Rain Bird app and press the Add Controller button. Follow app prompts to setup WiFi connection to Rain Bird Timer. Test the timer to by turning on watering at the timer and through the Rain Bird app. For more detailed instructions, refer to the videos and manuals found at the top of the Support page. Make sure the mobile device is not connected to a different Rain Bird Timer in hot spot mode. If it is, disconnect and try to delete the other timer. This should resolve the issue. What happens if two mobile devices try to connect to the timer at the same time? Only one mobile device can be connected to the timer at a time. If two people are trying to connect it can cause one or the other issues in connection. Sometimes there is an error message sent “The controller is in an active connection.” Other times it may send the error message “Manual time-out”. Change the App store search from “iPad only” searches to “iPhone only”. The Rain Bird app will appear as an option to download on iPad. The weather in the app is based on the zip code set up for the timer. If you entered the zip code incorrectly, or are currently in a zip code that is different than then one at the timer, the weather may show what you expect. You can verify what zip code is set in the timer by tapping the controller card > Settings in bottom right > Controller info. My weather info says “Unavailable.” Does that mean my timer is not working or connected? The timer pulls weather info from the server for the set zip code on a regular basis but it may not have done so recently if you are getting the weather “Unavailable” message. If the timer is connected with a strong signal to the WiFi network, and the WiFi network has in internet service provider, then the weather should be available within 24-28 hours. ** Satellite Internet Service Providers may not allow support of weather info to the timer. The area name listed on the weather tab is the one most closely associated with the weather station being used for the zip code listed. Sometimes the area name is very local, and may not even be known by people that live in the area. Usually a quick internet search helps people identify the source of the area name. You can verify what zip code is set in the timer by tapping the timer card > “settings” (3 gear icon) in bottom right > Controller info. To enable notifications, first go to the Rain Bird mobile App’s settings (upper left hand corner gear icon). Once inside the app settings, enable Global Notifications. Next, navigate into the timer card. Once connected, select Settings in the tool bar at the bottom. Expand the Notifications selector and enable each notification that you would like to receive for this timer. What do the notifications mean? WiFi Stick Reboot – A notification will be sent if the timer loses power or if the WiFi Module resets. Date/Time Error – A notification will be sent if the timer’s date and time seems to be incorrect. Shorted Solenoid Detected – A notification will be sent if the timer is capable of sensing a shorted solenoid on a connected valve. Timer Experienced WiFi Disconnection – A notification will be sent if the timer has been properly connected to a WiFi router and experiences disconnection. The notification will also indicate whether the WiFi signal strength is strong or weak. If the signal strength is weak this typically indicates the timer is at the edge of the WiFi range of the home’s WiFi router’s range. System Access AP Mode via Local Button Push – A notification will be sent if the WiFi Module has been accessed in AP/Hotspot mode locally at the timer. Delay Watering Enabled – A notification will be sent if any user enables delay watering feature. The notification will indicate how many days the system will not water before continuing regularly scheduled watering times. Freeze Warning – A notification will be sent if the server indicates low temperature of the day is below 35 degrees Fahrenheit. Irrigation Event Complete – A notification will be sent when any irrigation event completes. The notification will include the number of minutes of irrigation as well as the date and time the event completed. Why am I not getting notifications when I turned them on? Since notifications and Automatic Seasonal Adjust require an active internet connection it is possible they are not being delivered due to an internet interruption. Check the internet service to make sure it is working properly. Where is my WiFi network information stored? 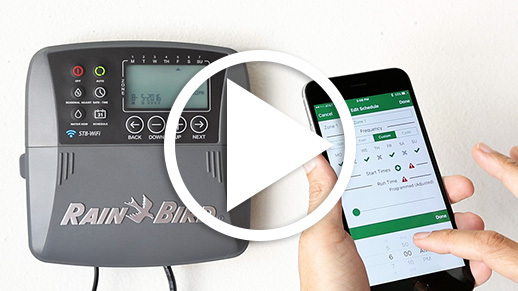 Your personal WiFi credentials are only stored within the Rain Bird WiFi Timer so that it can connect to your network. The credentials in the Rain Bird app are masked with “***” for your security. These are “read-only”. If you attempt to backspace a character on the WiFi password, the entire masked password is erased. Note: “Controller” and “Timer” can be used interchangeably – they have the same meaning. This password can be changed at any time for the timer while connected in Hotspot mode. The Controller Password provides security for accessing the controller from the Rain Bird App. 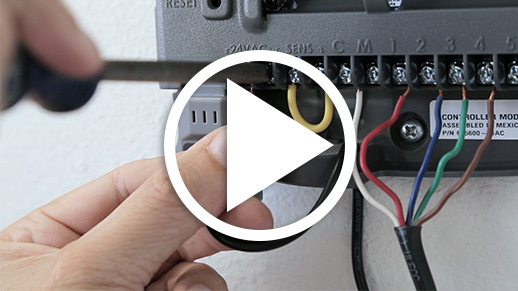 The security extends out to the timer on your personal device or if you have shared your timer to any other user, such as your landscaper or irrigation contractor. Apple iOS version 8 or greater, Android devices 4.4 (KitKat) or later. What wireless networks does the Rain Bird WiFi Timer work with? 2.4 GHz 802.11b/g/n channels. Does not support 5 GHz networks. Can I install this product on my own or do I need a professional contractor? A home owner can install this device with little to no assistance. The videos and manuals at the top of the Support page provide complete instructions. If you find you need assistance then please call Rain Bird Technical Support at 1-800-RAINBIRD (724-6247) and we can walk you through any issues that you are experiencing. The Rain Bird WiFi Timer is compatible with 2.4 GHz WiFi router networks only. This product is not compatible with 5 GHz WiFi router networks. How do I know if the network I am trying to program to is a 2.4 GHz WiFi network? When selecting an available network during timer setup in the Rain Bird mobile app, only 2.4 GHz networks that are within range of the timer will be available networks to select from. This blinking LED is on the module located under the wiring bay cover on the left side of the timer. No. At this time Rain Bird WiFi timers can only be accessed via the timer’s front panel and via the Rain Bird mobile app for iOS and Android devices. Will my Rain Bird WiFi Timer ever need to be re-connected for any reason? 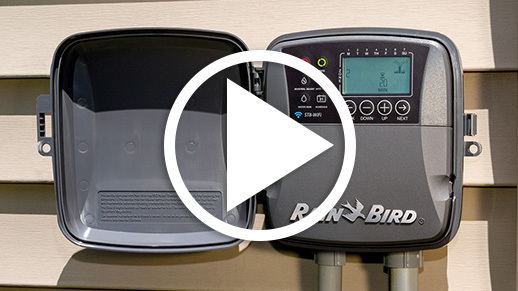 If you perform a simple router upgrade or change your Internet Service Provider you may need to re-connect your Rain Bird Wi-Fi Timer. My router changed, how do I connect my controller again? What happens if I change my internet service provider? If you change your Internet Service Provider you should not see a change in your ability to manage your timer from within or from outside of your home WiFi network, as long as your router settings have not changed. **This does not apply to Satellite Internet Providers at this time. If you decide to use a Satellite Internet Provider, you could potentially lose access to your timer from outside of your home WiFi network.